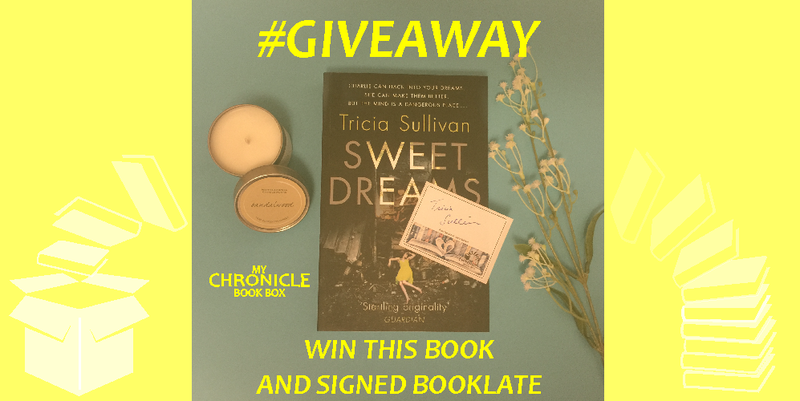 I wanted to brighten what could otherwise just another drab Tuesday by launching this new GIVEAWAY for the brilliant ‘Sweet Dreams’ by Tricia Sullivan published by Gollancz. The winner will receive a copy of the book and a signed bookplate. You can enter via Facebook or Instagram or both for two entries into the hat*, or subscribe to My Chronicle Book Box to receive 10 entries into the hat*. Tag two other people who might be interested in the comments. You have until 23:59 on Tuesday 21 November 2017 to enter. Please note that although the giveaway is open to all, if you win and live outside mainland U.K I will have to ask you to cover the additional postage costs to your location. *It’s a metaphorical hat, it’s actually a spreadsheet and I will use the random number generator function to select the winner.